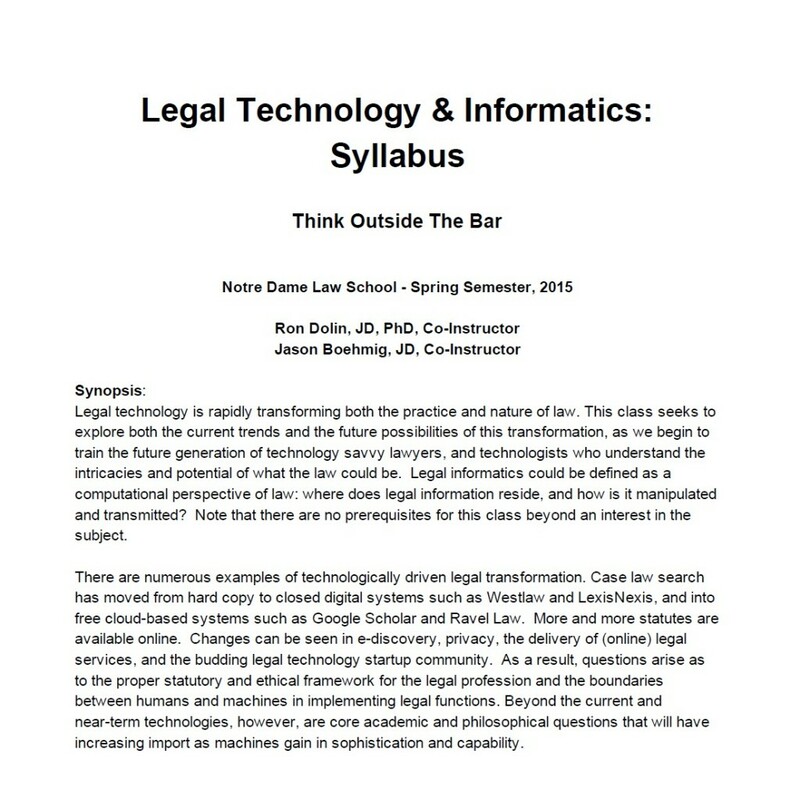 This week my co-instructor, Jason Boehmig, and I kicked off our course on Legal Technology and Informatics at Notre Dame Law School. Our first guest speaker was Andy Jurczyk, CIO of Seyfarth Shaw. We have a great line-up of speakers running throughout the semester. Below is the updated syllabus for the course listing all of our speakers as well as the topics we are covering and some of the questions that we want the students to focus on in each category. I am also sharing the Course Reader which links to many of the materials that are required reading for the course.